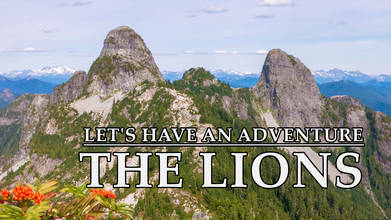 Seen from almost any point in Vancouver, the pointed rock formations known as The Lions are a familiar landmark in British Columbia, Canada and have provided inspiration in the naming of the local CFL football team, as well as Lion's Gate Entertainment. Although the hiking can be a bit risky, they both remain popular spots for enthusiasts like Pasquale Josepe, who, fortunately for us, also packed his drone to capture his own adventure. Watch it now to enjoy the beautiful aerial views he found!